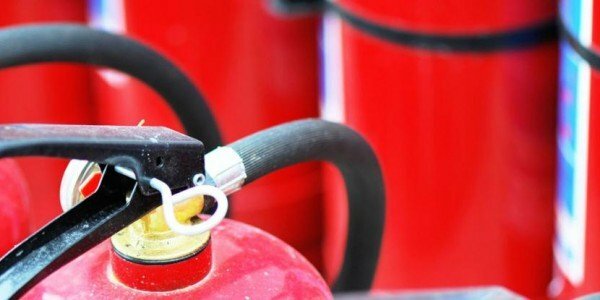 Mobile Fire Extinguishers | Adams Fire Tech (Pvt) Ltd.
SFFECO Mobile Dry Powder Fire Extinguisher TDP and TDPS Models represent newly developed designs of pressurized fire extinguishers and are characterized by their high performance and rapid fire knock down capabilities. 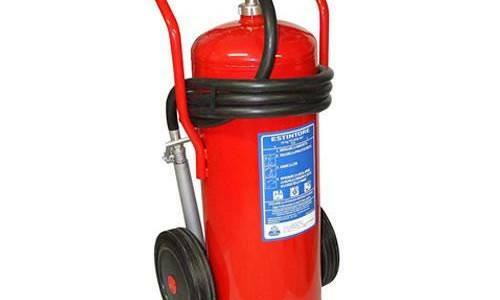 Suitable for Class A, B, C and Electrical Fires. 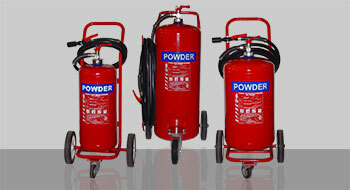 SFFECO Mobile Dry Powder Fire Extinguishers with External CO2 Cartridge are fired in two stages. Turning the rotary valve on CO2 cartridge releases the CO2 into the cylinder filled with powder and the cylinder is filled with compressed aerated powder. 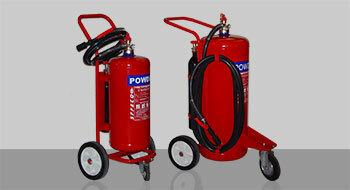 This compressed aerated powder is released by pressing the control lever at the nozzle and directing at the fire. 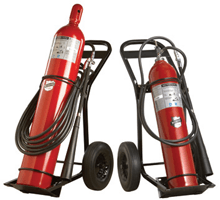 SFFECO Mobile Foam Fire Extinguisher, available in stored pressure model (TF) and external high pressure CO2 cartridge model (TFC). 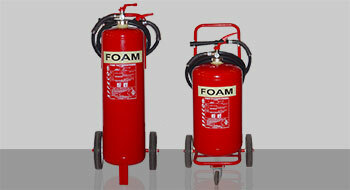 Manufactured using special cold rolled steel and the cylinder is painted with electrostatic polyester powder. This unit is easy to use and can be used by one person, suitable to keep in factories and warehouses, as well as petrol stations. The AFFF will quickly seal the surface of a liquid fire to prevent re-ignition. Suitable for Class A and B Fires. 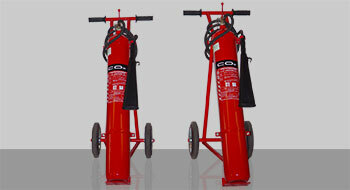 SFFECO Mobile carbon dioxide fire extinguishers are known for its high reliable performance. 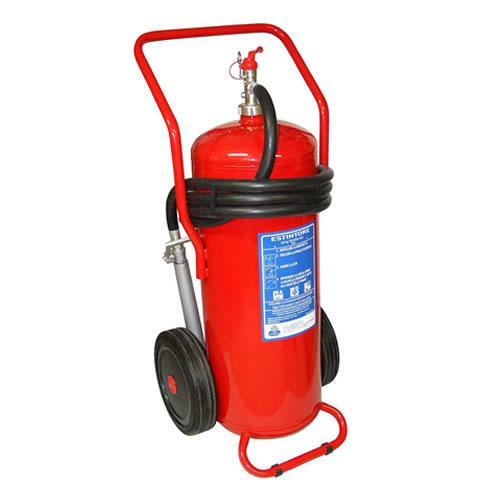 The cylinders of CO2 fire extinguishers are seamless and are extruded from high grade Chrome Molybdenum Steel or Manganese or Carbon Steel. 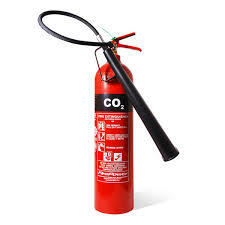 The CO2 extinguisher is especially effective on electrial fires because, being a gas; it does not leave any residues which might further harm the damaged quipment. 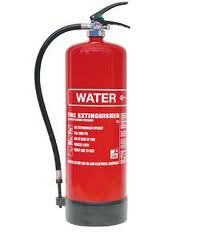 Suitable to use on Class B and Electrial fires.